WASHINGTON—Calling it an important but often overlooked step of the process, Environmental Protection Agency officials issued a statement Friday once again advising Americans to sort their plastics and glass materials into separate oceans. 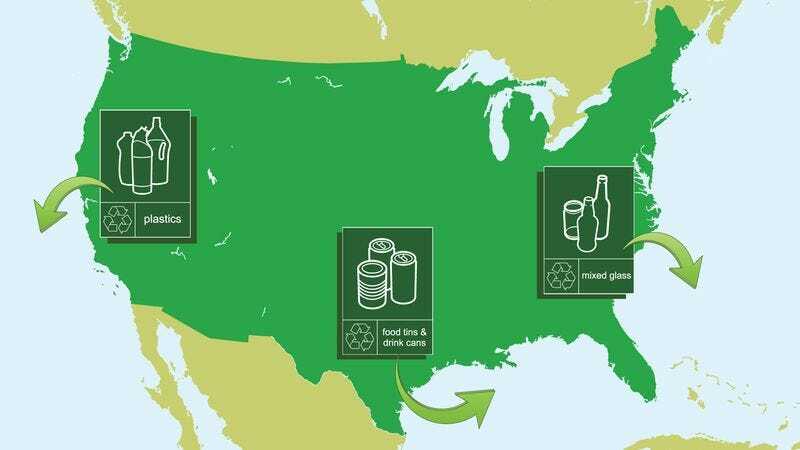 “We would like to remind Americans that clear, brown, and green glass should be placed in the Atlantic Ocean, and plastics classified as 1, 2, 4, 6, and 7 belong in the Pacific,” said EPA spokesman Daniel Gray, adding that individuals should properly rinse out all containers before depositing them off the appropriate coastline. “Also, lakes and rivers are reserved strictly for paper products. We simply ask that cardboard be flattened before it is left in any one of the thousands of designated freshwater bodies across the country.” Gray also stressed that Americans should only place old computers, televisions, mobile phones, and other unwanted electronics in forests on their assigned day of the week.